Keisuke Takeda has done it again. 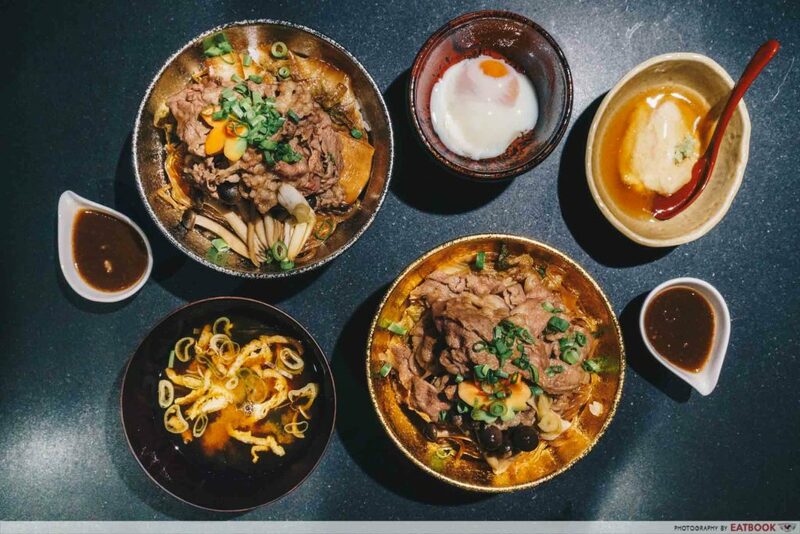 From Japanese hamburger steak to duck ramen, the “Ramen Champion” at the 2011 Tokyo Ramen Championships has introduced yet another innovative concept to our shores in the form of zhnged-up gyudon, or beef bowls. 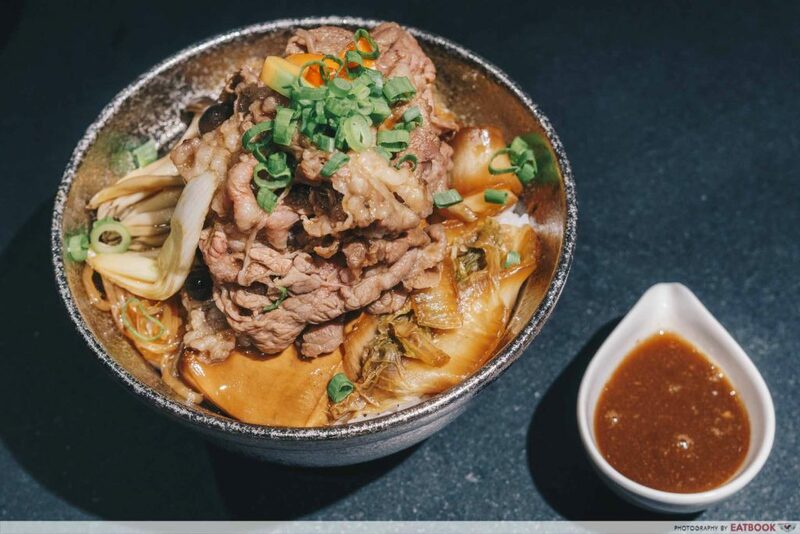 Combining his love for gyudon and sukiyaki, this new creation uses premium cuts of beef that are cooked with sweet and savoury sukiyaki sauce. If you’re a fan of gobbling down on Yoshinoya’s beef bowls, you’ll find that the taste remains strangely familiar, yet different at the same time. You can only find two items on the menu here. 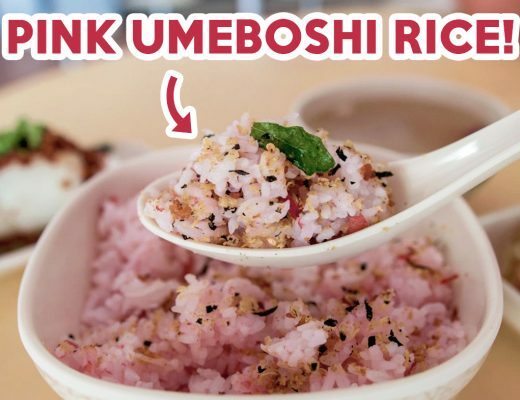 Each bowl is accompanied by miso soup, sesame tofu, and an onsen egg which you can put on top of your rice. We started off with the star of the show, Kiwami Wagyu Sukiyaki Don ($29.90++). Experiential dining plays a huge part here. From the moment the order is placed, you’ll get to see the ingredients prepared right in front of you. 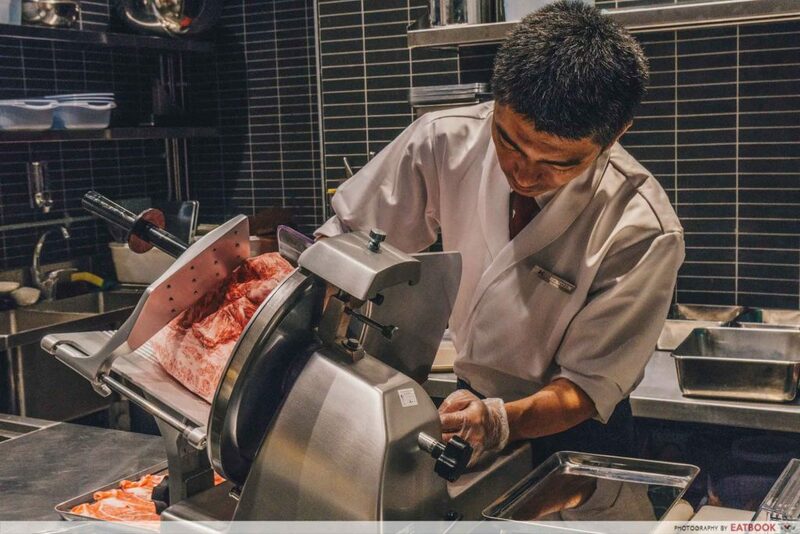 Here you’ll see the beef being expertly sliced and weighed accordingly. 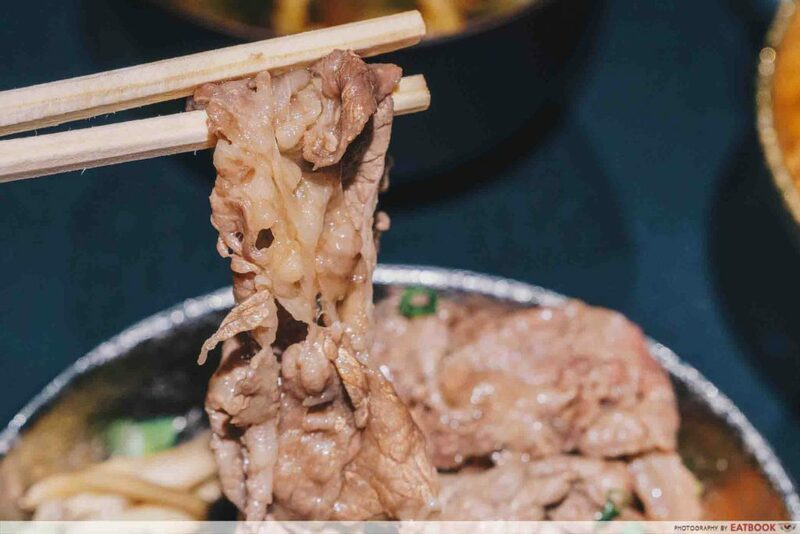 The meat is neatly presented on a tray and showed to the guest before being cooked. 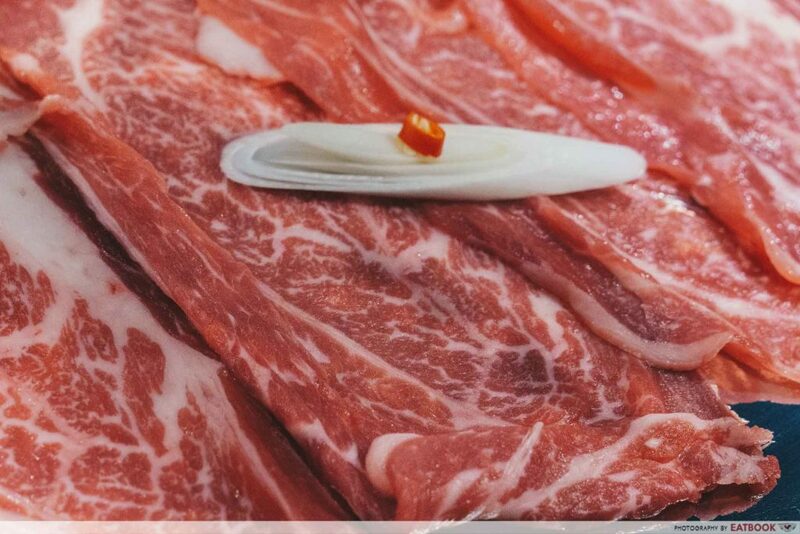 Behold, the even and beautiful marbling on this A4 Wagyu from Yonezawa. 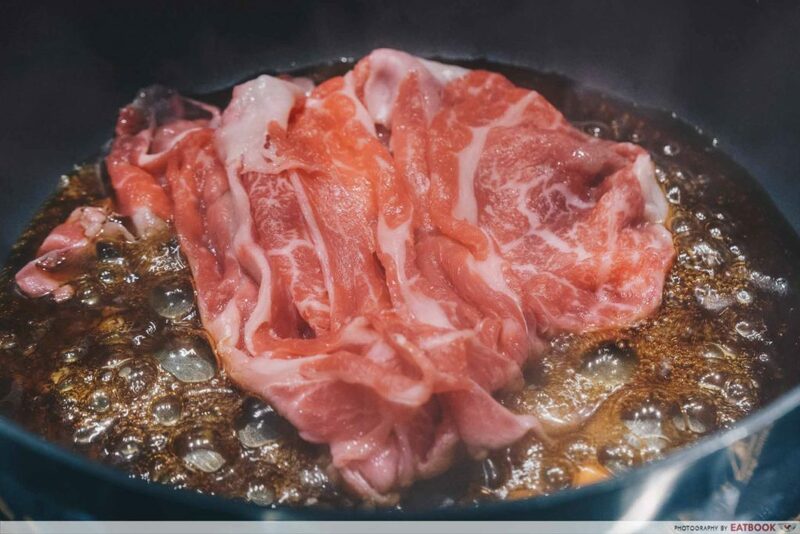 One of three famous beef producing prefectures in Japan, Yonezawa beef is often compared with Kobe and Matsusaka as the best. 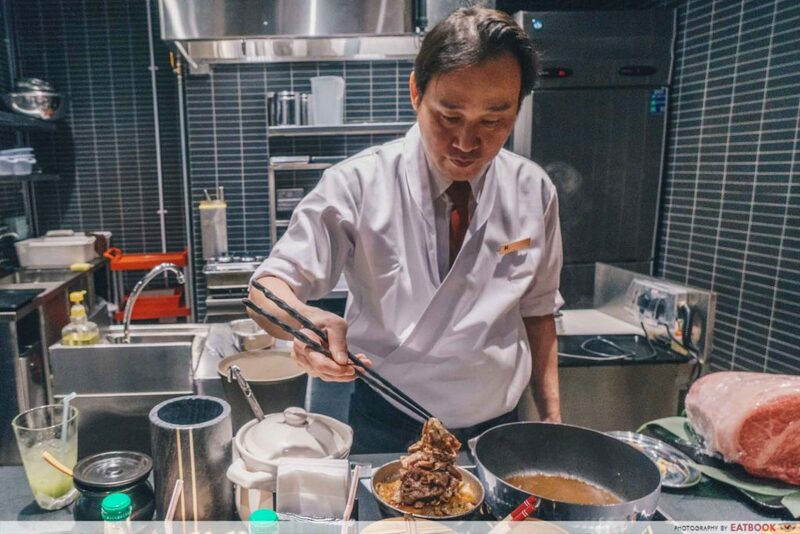 Each order is individually prepared by the chefs, who patiently walk diners through every step of the cooking process. My favourite part was smelling the sweet aroma of the sukiyaki sauce combining with the beef. It hit me straight in the nose, making my tummy grumble a little as I impatiently waited for the dish to be prepared. Everything looks easy to prepare. 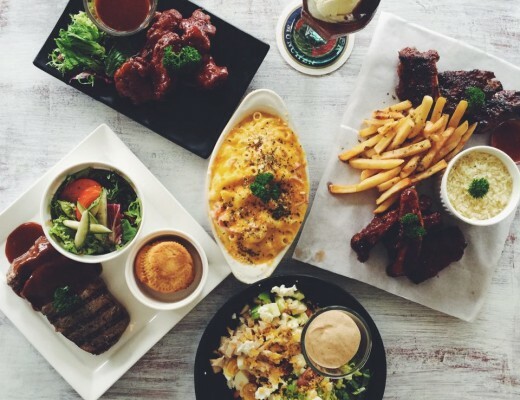 But it all boils down to selecting the right ingredients. 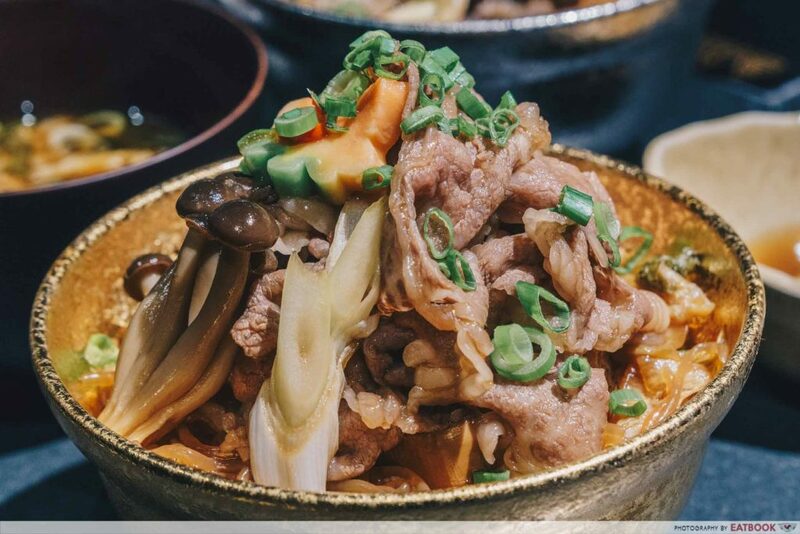 Shimeji mushrooms, tofu braised in sukiyaki sauce, and shirataki are heaped on top – resembling a huge mountain of beef and vegetables. The beef had just the right amount of meat and fats that gave the melt-in-the-mouth texture. While the sukiyaki sauce was a little too sweet for my liking, I can see how it gave an added dimension to the beef. 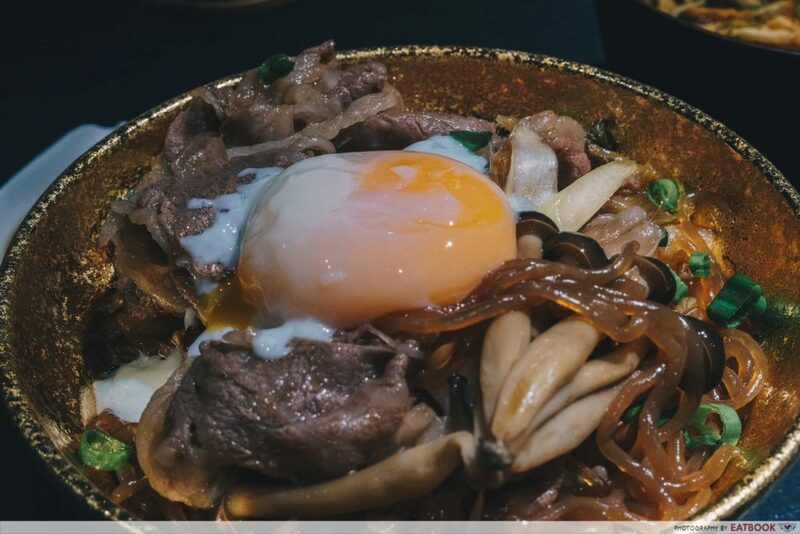 The other item on the menu, Beef Sukiyaki Don ($13.90++), is made with US Prime Chuck Eye Roll, giving a robust, meatier flavour. You wouldn’t get the same fatty and luxurious mouthfeel with this one. 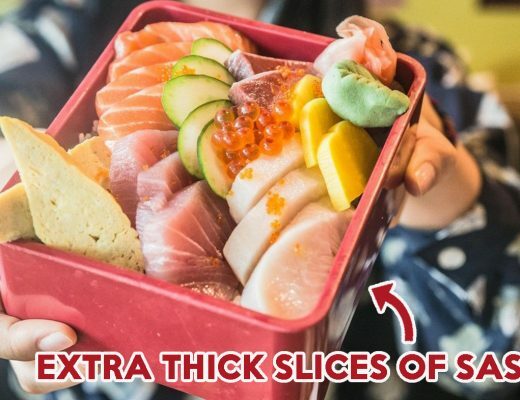 But at $13.90++, it’s a steal, considering that the accompanying ingredients and sauces are exactly the same as the wagyu bowl. If you’d like more beef, you can get another 120 grams of beef for $10++. 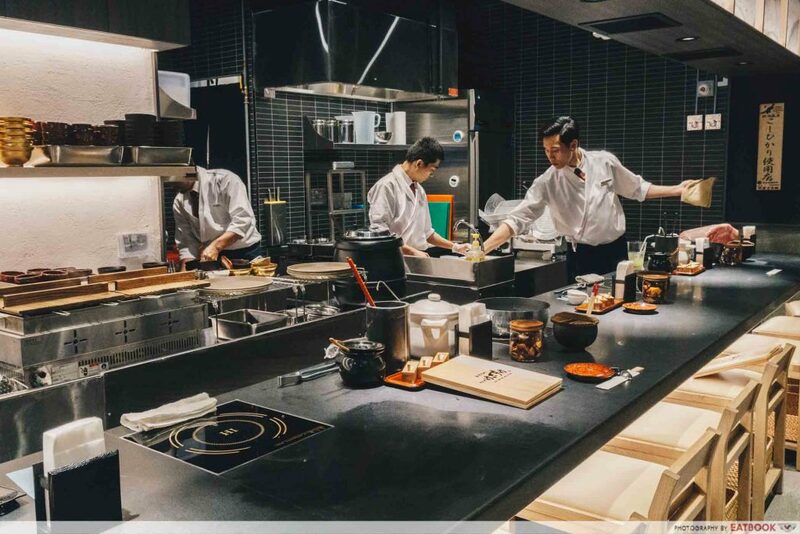 From the chefs cutting the meat to even the dishwasher, this intimate 14-seater restaurant lets you view the entire restaurant from end to end. There are only bar seats available here, so bringing your date for a romantic night out might not be a good idea. 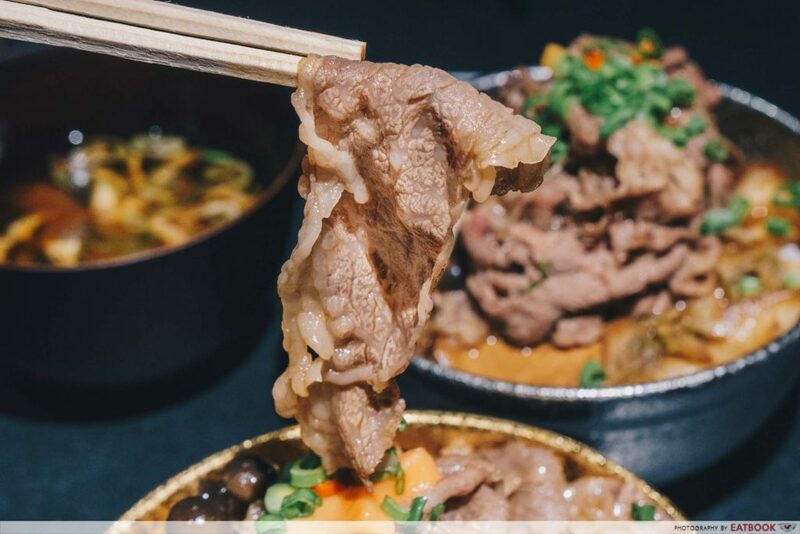 The Keisuke group of restaurants has always delivered delicious food with great value, and Beef Sukiyaki Don Keisuke is no exception. At $29.90++ for a bowl of prime Yonezawa A4 beef, you wouldn’t find too many of these in town. 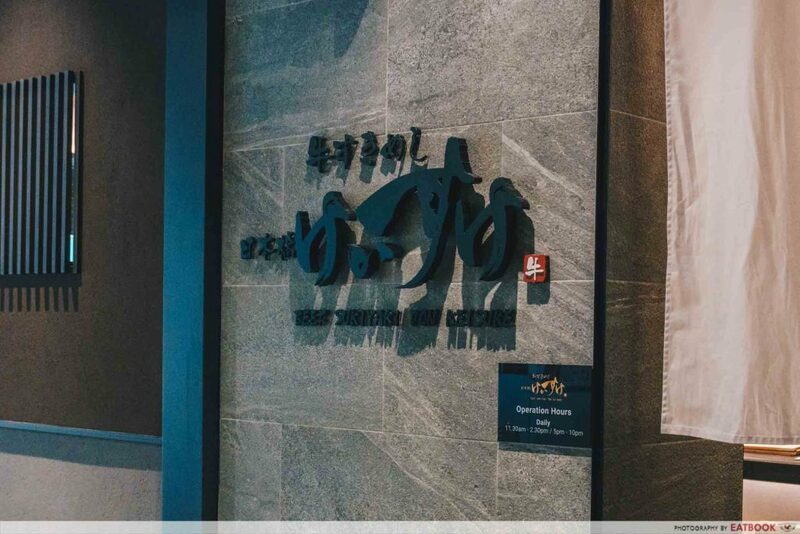 Like the other Keisuke restaurants, expect to wait in line. Is it worth queuing up? I’d say that it’s definitely worth checking out once, but the novelty might just wear out after the second visit. This was a media tasting at Beef Sukiyaki Don Keisuke. 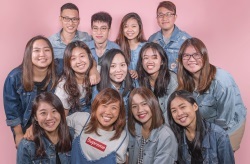 – Value for money beef bowls. – Sauce was a little too sweet, you can ask for less sugar.